Ready to Roll! 30 Preparation-Free Activities is a 63-page collection that contains all you need to run 30 of the best loved language teaching activities for any class. In the collection you’ll find Icebreakers, Warmers, Fillers, Discussions, Roundups and much more. This is a downloadable e-book full of simple ideas that offer guaranteed success. They have all been tried and tested by teachers. The activities in this book require very little time to prepare and few materials. The activities are adaptable for use with any student level and can also be modified for use with any target language. 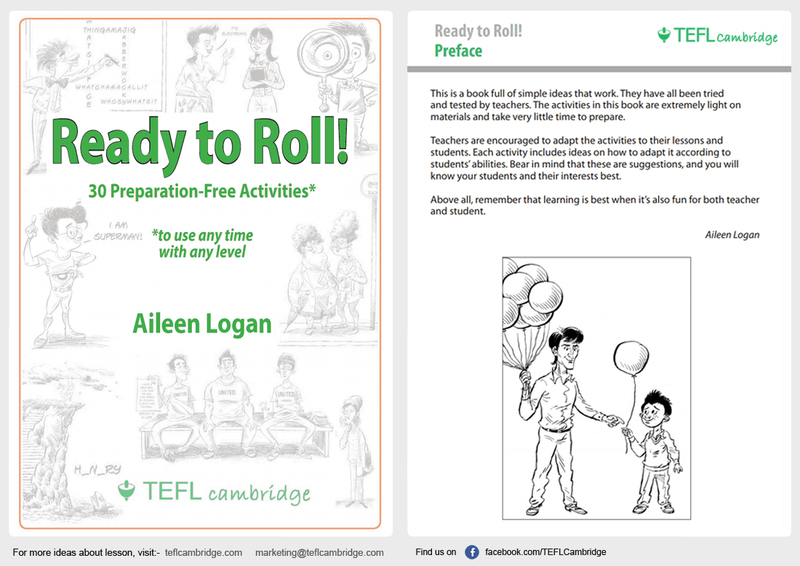 View Ready to Roll: 30 Preparation-Free Activities sample.